It’s that time of the year again when students pick up their books and go back to university. With it comes the hassle of registration, and all of the questions about whether walk-in registrations are accepted and how much the registration fees are. A few South African universities do accept walk-ins for registration but most do not and every university has an upfront fee that is payable before registration. Student bodies are not feeling it. With the launch of its #SizofundaNgekani campaign on January 7 Economic Freedom Fighters Student Command (EFFSC) called for universities to allow walk-in registration and for the scrapping of registration fees. At the launch, the EFFSC also revealed that the organisation had written to the higher education ministry asking them to release a communique that registration must be free for all in all institutions. The Department of Higher Education responded in a statement. “It’s with distress that we have noted the irresponsible and dangerous calls for young people to flock to universities and demand entry. This call is unwarranted and without justification and has the potential to disrupt the system and deny deserving students their right to higher education and training,” the minister of higher education Naledi Pandor said in a statement on January 9. Pandor said the students who were not given a place should be directed to the CACH (Central Applications Clearing House) system. The CACH system is a government online service in place to assist individuals with access to university and college opportunities. Students can register with CACH via the website or contact them on 0860 356 635 or SMS with their name and ID Number to 49200 and be called back free of charge. 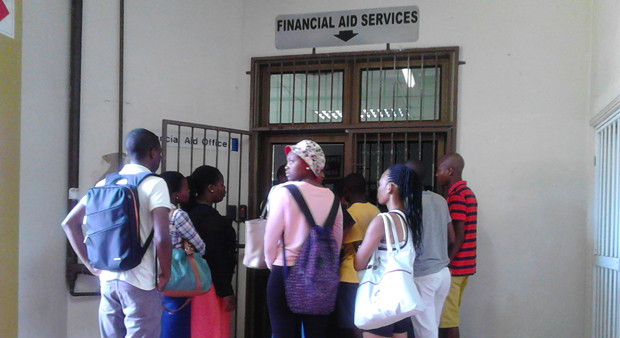 The Daily Vox asked South African universities about walk-ins and registrations fees. “The Durban University of Technology (DUT) is not accepting walk-in applications,” senior director of corporate affairs at the DUT Alan Khan said. Khan said that the applications for DUT are closed but that if there are any vacant spaces, late applications may be considered with no guarantee of acceptance. Interested students can make a late enquiry here. At DUT, the registration fee for annual students is R3,980 and R2,440 for semester students. For accommodation, annual students are expected to pay R7,960 for semester students and R 4880, which is inclusive of tuition registration fee. At this stage the North West University (NWU) will no longer accept any new applications for the 2019 study year, spokesperson Louis Jacobs said. However, late applications that have been received will be handled on a case by case basis according to the availability of space. Prospective students who have not yet applied can contact NWU after 25 January 2019 about whether spots have opened up at the relevant campus, faculty and school where students would like to apply. All students are expected to pay the R1,830 registration fee, except NSFAS approved students. The university normally expects between 20-30 walk-ins a year, but this year has already had more than 100. All except Nsfas-funded students are expected to pay a registration fee. Alternative payment options are also available to students for consideration, Pieterse said. “Sol Plaatje University (SPU) welcomes walk-in students for registration,” special projects director Patrick FitzGerald said. However, students must ensure that they qualify for registration at the University before they arrive. Students with proof of bursary will not be required to pay any registration fee. Self-funded students must pay a R5,000 fee. “This is not a ‘registration fee’ but is rather an upfront fee – in other words the first installment on the student’s tuition fees,” FitzGerald said. All relevant information can be found on the SPU website and prospective SPU students are advised to visit the site accordingly, he added. Like SPU, Stellenbosch University (SU) does not have a registration fee but an upfront fee where the first instalment of the fees is payable before or during the registration period. Students who receive financial aid are exempt from this first installment. There is also provision made for students who have financial difficulties but do not receive financial aid. 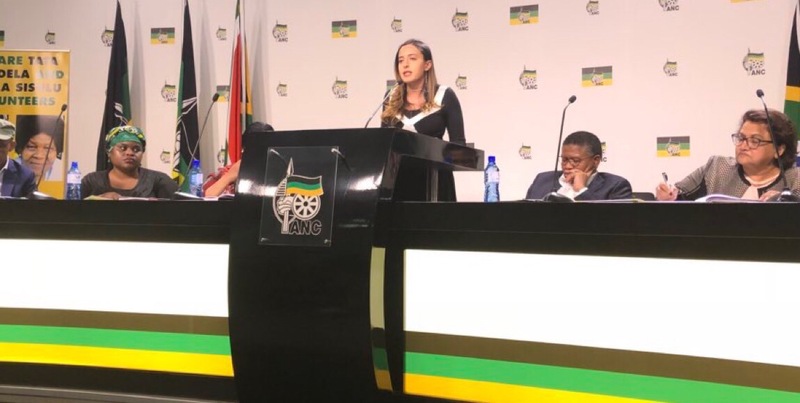 “Students with financial difficulties, but who do not qualify for NSFAS funding, may make arrangements to pay the first instalment over 3 months,” spokesperson Martin Viljoen said. Considering that applications at SU closed at the end of June 2018, the university cannot consider walk-in applications. “The University of Cape Town (UCT) received 62,740 undergraduate applications to study in 2019 from approximately 32,000 applicants and can enroll only 4,200 first-year students,” UCT spokesperson Aamirah Sonday said. The university is committed to assisting walk-ins and processes are being put in place to enable this, Sonday said. Considering that the UCT closing date for applications was 30 September, walk-in registration only allows applicants to speak to an admissions counselor. If eligible they will be assisted to register using the CACH system provided there is still space in the programme they are interested in. UCT does not charge a registration fee but students are required to make an initial payment towards their tuition fees and accommodation fees payable by 1 February. 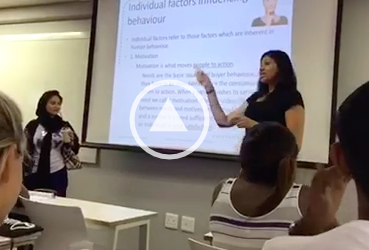 For tuition, the initial payment is R25,500 (or the full fee where this is lower than R25,500). For accommodation, the initial payment is R31 000 for catering residences or R20 000 for self-catering. However, students can continue with registration even if the initial fees are not paid. The University of Johannesburg (UJ) has a no walk-in policy, spokesperson Herman Esterhuizen said. The application, admission, and registration process at the university is entirely online. Seven years ago in 2012, one parent was crushed to death in a stampede at the gates of the UJ Bunting Road campus during a last minute application process. Seventeen others were injured. The minimum payment for registration is R3,870. However, all qualifying NSFAS funded students are exempt from this payment. “The University of KwaZulu Natal (UKZN) does not encourage walk-ins but will consider students who qualify should there be spaces available,” spokesperson Normah Zondo said. The minimum registration fee payable by self-funded students for the 2019 academic year is R3 750 for tuition and R6,500 for tuition and residence accommodation. Nsfas-funded students are exempt from the fear. UKZN’s self-help registration system will be online from 7 January. The University of Mpumalanga (UMP) still has space for a Diploma in Agriculture, BA Agriculture, BSC Agriculture, and BA Agriculture Honours, the university announced on 30 January. Walk-ins are accepted. Registration fees cost R3500 and this will be deducted from the total tuition fee. NSFAS students are exempt from thisÂ fee. “All students eligible to register at the University of Pretoria (UP) in 2019 can register online from 9 January through the MyTuks Login on the UP web,” said UP spokesperson Rikus Delport. In case of difficulty with online registration students can contact the helpdesk on +27 (0) 12 420 5347, or email at registration@up.ac.za. The initial/registration fee is R5,000 and is included for students who are funded by NSFAS. “The University of the Western Cape (UWC) places walk-in applicants on a waiting list,” spokesperson Gasant Abarder said. UWC assists late, eligible applicants (walk-ins) by allowing them to apply online at the computer lab. These applications are forwarded to faculties for consideration, pending merit and availability of space. However, this will only occur after those who applied before the closing date have been considered. At UWC, the registration fee is R1,370. NSFAS and bursary funded-students do not need to pay the registration fee as it is covered by the funding they will receive. No walk-in applications are allowed at Wits University. Applications to study should be submitted the year before the intended year of study, and closed in September 2018. All self-funded students are required to make a first payment towards fees of R9,340 before registration. Nsfas-funded students need not make this payment. Management at the University of Venda (Univen) made a concession that “all undergraduate students including missing middle/self-funded students can register for 2019 academic year without making an upfront payment,” spokesperson Takalani Dzanga said. However, this concession is not applicable to postgraduate and international students. Missing middle and self-funded students will be required to sign an acknowledgement of debt form. These forms must be signed by 18 January 2019 and students should ensure that they make the first payment of R4,560 by 1 March 2019. Missing middle students who fail to honour this commitment will be deregistered after 1 March. NSFAS-funded students may register without making an upfront payment. The Vaal University of Technology (VUT) is flexible regarding walk-in registration, spokesperson Mike Khuboni said. However, this is provided that there is still space available in the programmes offered by the University. Registration at VUT costs a flat rate of R2,000 for tuition and R4,000 for accommodation, both are figures agreed to by the SRC body. Prospective students who attempt to walk in at WSU will be redirected to the CACH website.